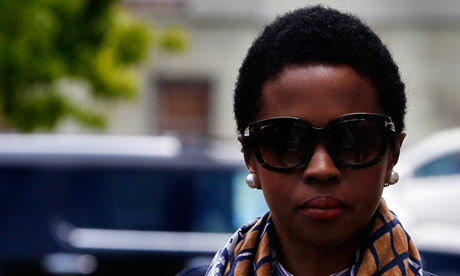 Grammy award-winning singer Lauryn Hill was sentenced Monday to three months in federal prison for failing to pay taxes on more than $2 million in earnings during a five-year period. Hill is joining a growing list of celebrities who have been or are being imprisoned for tax evasion. From Ron Isley to Wesley Snipes, certain celebrities seem to have an issue when it comes to paying their taxes. Hill is a 37-year-old South Orange, N.J. resident who won fame as a member of the Fugees and then launched a solo career that included the Grammy-winning The Miseducation of Lauryn Hill . She pleaded guilty last year in the tax case. In a courtroom statement to Arleo, Hill said she had always intended to pay the overdue taxes eventually, but found herself unable to raise the money during a period when she had dropped out of the music business. Hill had faced a maximum sentence of one year each on three counts. Her lawyer, Nathan Hochman, had argued for probation. Hochman said Hill had paid more than $970,000 to satisfy her tax liabilities. Prosecution records filed in the tax case by the office of U.S. Attorney Paul Fishman showed that Hill owned and operated four private corporations in addition to her entertainment career. Royalties from the recording and film industries were Hill's primary form of income, the prosecution document charged. Hill received more than $1.8 million in income during 2005, 2006 and 2007 but didn't file tax returns during that time. Although her guilty plea specifically related to that three-year period, Fishman said her sentence also took into account additional income and tax losses for 2008 and 2009, when she similarly failed to file tax returns. The sentence also addressed overdue New Jersey state taxes. In all, federal prosecutors said Hill had earned approximately $2.3 million during the five years and had an unpaid tax total of $1,006,517 before more recent payments. Hill is tentatively scheduled to begin her prison term July 8. It was not immediately clear where she would serve the sentence.